Please contact us for a great price on Ludwig Drums and Zildjian Cymbals. To request a quote simply call our shop at 773-878-8616 or fill out the quote form below and we will contact you as soon as possible for a quote. 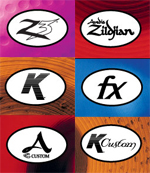 Our drum specialist will help you configure a kit or add a component to find the sound you have been looking for. We offer great prices on Ludwig drums, components and Zildjian cast cymbals. International Customers: please note we can ship snares and cymbals overseas however we no longer offer Drum Kits to destinations outside the USA. Are you interested in a Kit or a Component ? Please enter any other details about your quote. We accept several forms of payment. You can call our shop and pay with most major credit cards. We require the shipping address to be the same as the billing address for the card. We also accept PayPal payments. Once you have selected your kit or components we can send you a PayPal invoice for PayPal payment online. We also accept bank wire transfers. For orders over $1,000 we actually prefer wire transfer payments, if you tell us you are paying by bank transfer when you request a quote we will give you a slightly lower price to reflect lower transaction costs. chamber of commerce and our business is registered with the City of Chicago. Rock N Roll Vintage Inc. is a member of the Lincoln Square Chamber of Commerce, a PayPal Verified Business and registered with the City of Chicago. Copyright 2015 - All trademarks are property of their respective owners.